Anachron’s Arcade now available on Google Play! Anachron’s Arcade is now available on Google Play! Please enjoy this free casual mini game collection. Play Dodge, Maze, or Spike and test your skills against others around the world using Google Leaderboards. Find the Rainbow Kitten. Save the penguin from the spikes!!! Save the Anachroniads from extinction!!!! 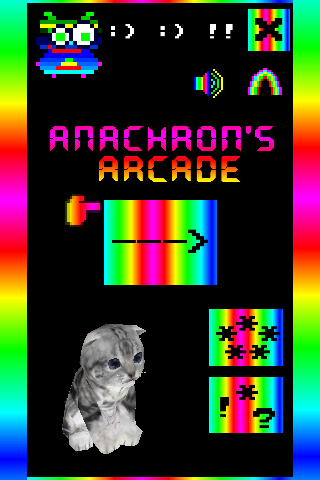 Previous Previous post: Coming soon for Android: Anachron’s Arcade!